Our boss bought an old restaurant across the pond from our rented office this year. He then renovated it into a state-of-the-art IT facility with all sorts of amenities, not the least of which is a huge back deck that will be in much use next summer, I am sure. We moved in Thanksgiving week. This view is looking from the old office across the pond to the back (and deck) of the new place. I love giving these types of gifts (that capture an important moment in someone’s life) more than any other. It is probably why I have continued doing this for over 30 years. 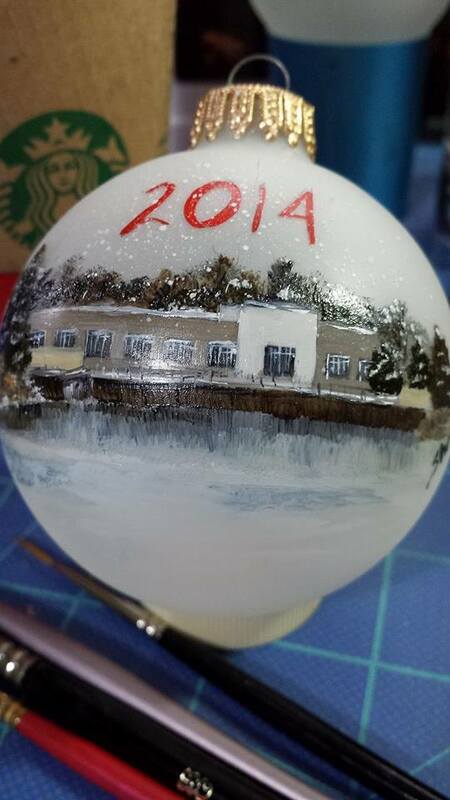 This entry was posted in Branding and tagged Christmas, hand painting, handmade, Moser Consulting, ornament. Bookmark the permalink.